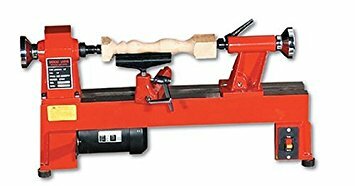 When I was looking at lathes, I talked with many people who had tried and liked either the Jet Mini or the PSI Turncrafter Pro lathes. I could not find many that had used both, to get an idea of the differences between them. Now owning a PSI Turncrafter Pro and having taken a class and used a Jet Mini for 5 hours or so, I decided to summarize the differences.